Other Projects - FRIENDS OF HISTORIC NACOGDOCHES, INC. 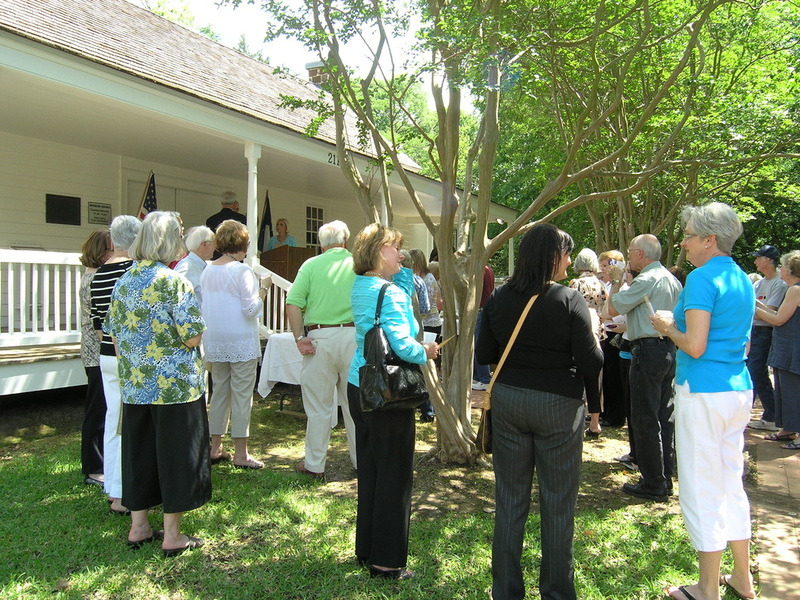 In 2014 several board members of FoHNI agreed to serve as a committee to write and publish a lavishly illustrated cookbook that would include family recipe favorites from owners of historic homes in Nacogdoches. 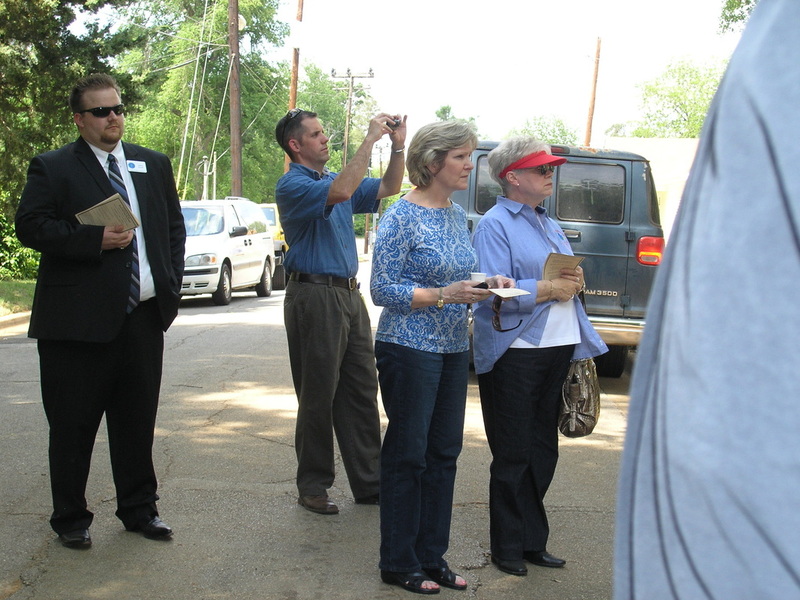 Leslie Daniel, Patsy Hallman, Jessica Sowell, Rachel Underwood, and Kimberly Verhines (SFASU Press), interviewed home owners, tested recipes, took photographs, and wrote introductory pieces for over fifty Nacogdoches properties. 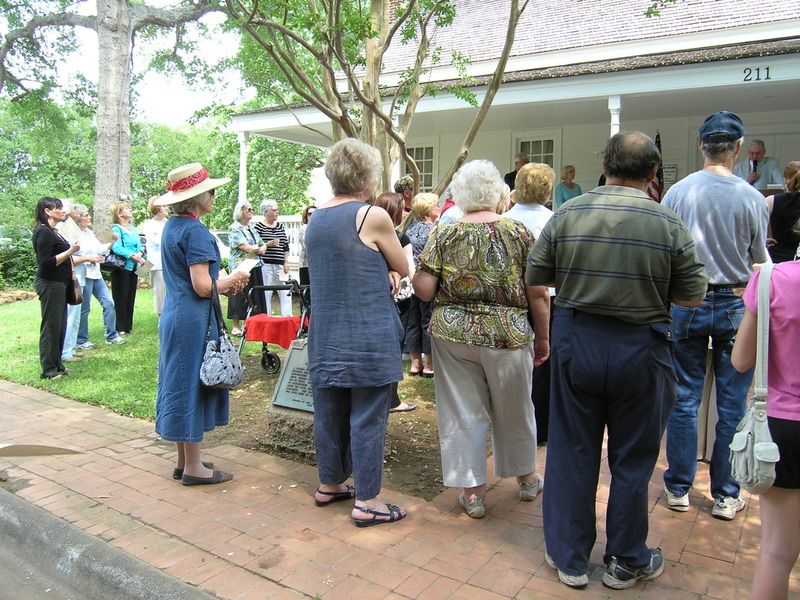 Published in 2015, the cookbook's funds have been dedicated to helping pay for the statue project while raising awareness of the variety of historic homes in town. Historic Hospitality is available for purchase ($40.00) at the Nacogdoches CVB and Rachel's Antiques and Uniques, both on Main Street in downtown. This was a limited printing of 1100 copies, so please get yours before they are gone! 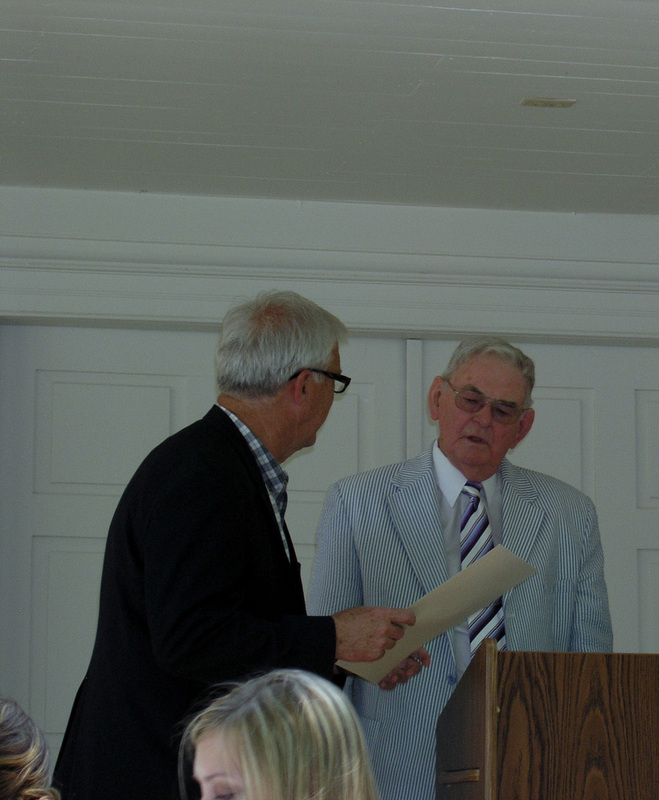 In 2014 Brad Maule was shown a black and white film made in 1938. In 2015 The College of Fine Arts applied for and received a Humanities Texas grant to conduct oral histories with those who remembered Nacogdoches in 1938. 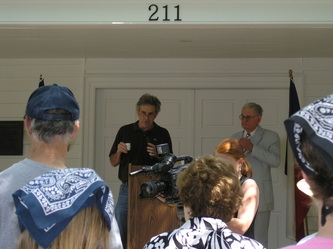 Afterwards the College produced a short documentary to complement the historic film. Dr. M. Scott Sosebee, Dr. Perky Beisel, and Linda Reynolds, Certified Archivist, were listed as as humanities scholars for the grant. 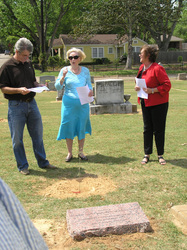 Friends of Historic Nacogdoches, Inc. provided $250.00 towards the cost of the project. The original film is now preserved by the East Texas Research Center and the Texas Archive of the Moving Image has a digitized copy is available for public viewing. 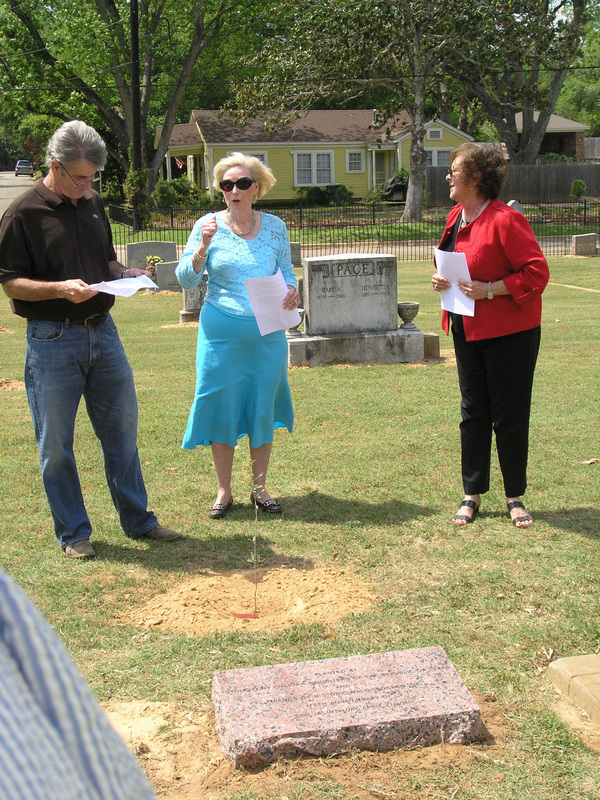 The documentary had its debut as part of the Nacogdoches Film Festival February 25-27, 2016. In the fall of 2014 FoHNI funded the digitization of four volumes of city records dated between 1851 and 1923. These are available online and in hard copy at the East Texas Research Center, SFASU. 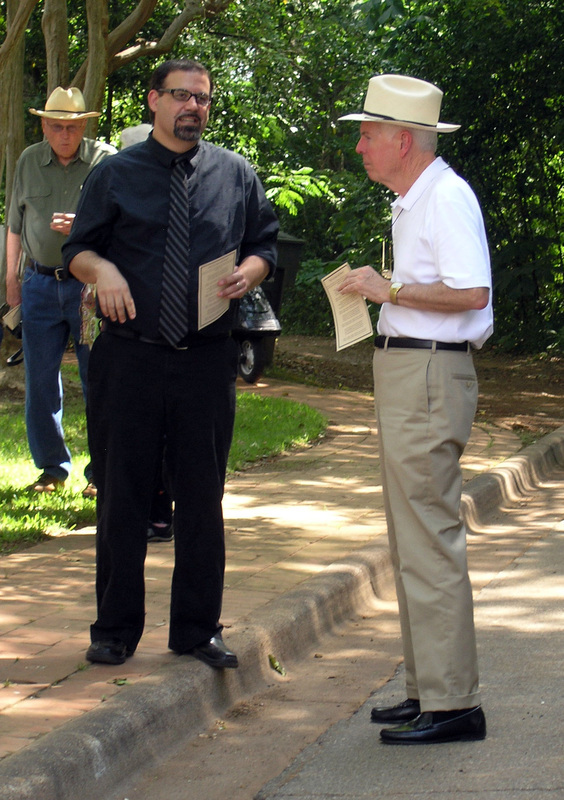 Thanks to anonymous donor, FoHNI was able to erect flagpoles to fly the nine flags of Nacogdoches in the park along Main Street. These flags form a colorful backdrop for the gazebo and the Sam Houston and Chief Bowl statue. 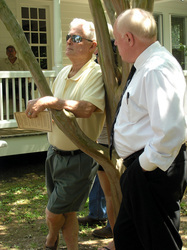 Friends also built the Gazebo itself in the mid-1990s with the assistance of the Timber Framers Guild of America. Thanks to our generous hosts, David & Frances Shofner, we had a wonderful gathering, great food, and entertainment by Brad Maule. The weather cooperated and was a beautiful day to enjoy the East Texas countryside. Here are a few pictures. 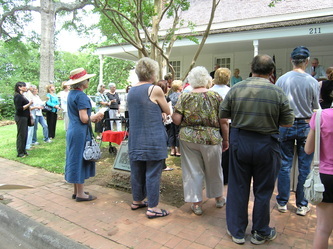 San Jacinto Day, April 11, 2011 - Hurrah for Texas!!! 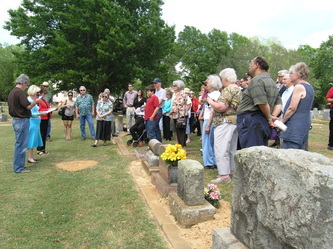 In cooperation with the City of Nacogdoches Historic Sites Department (Sterne-Hoya House), the City's Parks and Recreation Department (Oak Grove Cemetery), and the Daughters of the Republic of Texas, FoHNI sponsored several events in honor of the 175th anniversary of the Battle of San Jacinto. 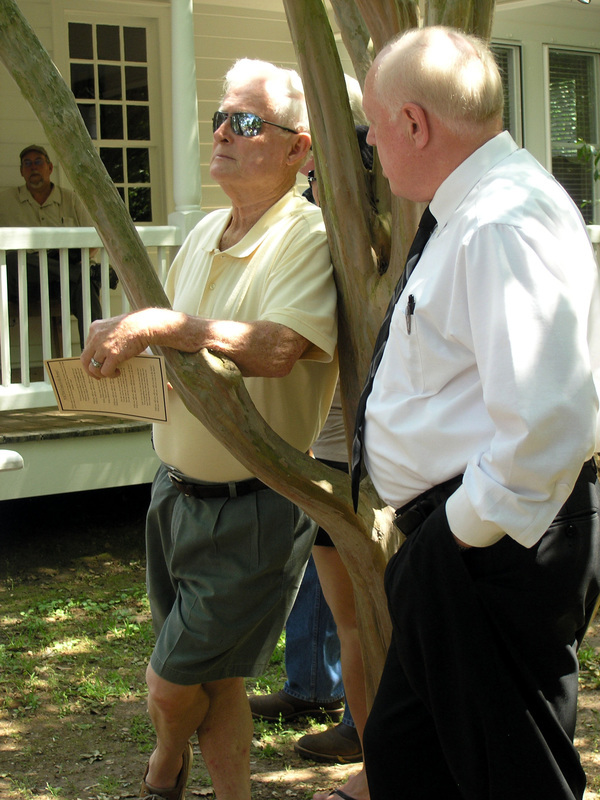 A tree planting, memorial dedication, and a brief speech were followed by the reading of Nacogdoches men who fought at San Jacinto accompanied by a historic drum. Visitors made a lemonade toast in honor of Adolphus Sterne and enjoyed the events at the cemetery and museum.